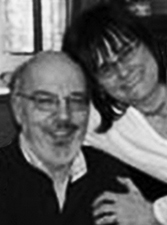 The Video Revolution, Ralph and Ellie Grossi Scholarship Fund was established in early August, 2007, by the Grossi family and friends to continue to support community values and the youth of Concord and Carlisle in the absence of Ralph's direct contributions. Ralph had been battling cancer for two years while continuing to operate the Video Revolution store in Concord. In July, 2007, he was forced to close the store very quickly in order to spend his remaining time with family. On August 13, 2007, he passed away in the comfort of his home at the age of 58. The Concord-Carlisle community spirit he enjoyed over the years and the overwhelming community outpouring of support and best wishes through this difficult time was the inspiration to create this Scholarship Fund. Ralph, a.k.a. Mr. Movie, spent his last 16 years working the counter at Video Revolution at 97 Thoreau Street, in Concord, MA. He was once described as a bartender for those who didn't go to bars, a marriage counselor, and VCR repairman who makes free house calls... all wrapped up in one person. He was friend, father figure, and confidant to the high school students he hired. He helped to promote good family values in them. He also promoted family values and education in his selection of the videos available at the store. And he always selflessly gave to others and supported community programs while accepting nothing in return.. the embodiment of true community spirit... he truly paid it forward. Ralph and Ellie always praised the local students who worked for them and said that they were "the best.” As proof of this, both current and previous students employees returned to volunteer their time to help liquidate the store. Without the support of these great up-and-coming young adults, Ralph and Ellie would not have succeeded. The students were overwhelmed by their tireless, selfless, work ethic over long hours and in the worst of times. Over the years there were nearly 100 students had the benefit of working for Ralph at Video Rev, and there was a waiting list of students. Ralph was greatly comforted by the knowledge that Concord-Carlisle High School (CCHS) students would continue to be benefited by a scholarship fund in honor of his and Ellie's contributions to the community. Although Ralph and Ellie had no children, the Grossi family extends beyond the Video Revolution family. As part of Concord-Assabet Family and Adolescent Services "Bridge Homes Program", Ralph and Ellie were houseparents providing safe haven to runaway and abused children at risk. Over the year that they participated in this program, countless children passed through their doors. Some stayed for only one night while others stayed for weeks. After Ralph’s passing, Ellie continued to work as a special education teaching assistant at the Nixon School in Sudbury, MA. She joins Ralph in looking forward to the Video Rev legacy living on to benefit the students of CCHS.